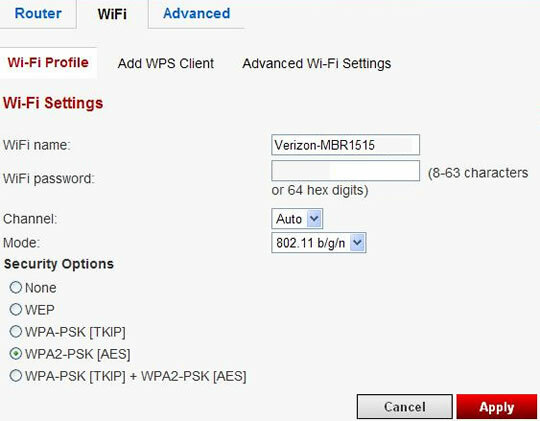 Access the router configuration tool then click Customize my Wi-Fi Settings (upper-right corner). 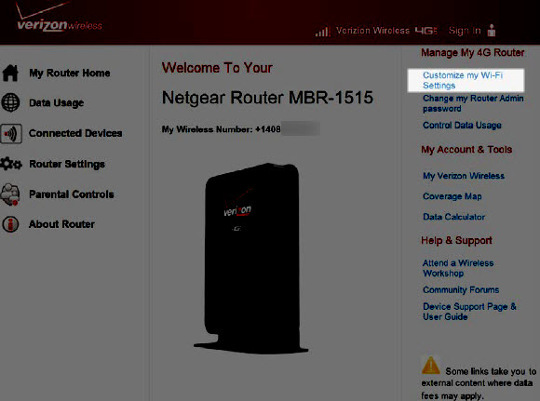 For assistance with accessing the router configuration page, refer to Accessing the Router Configuration. From the Wi-Fi Profile tab, adjust as desired then click Apply. Click OK to restart the router. The restart process may take up to 2 minutes.